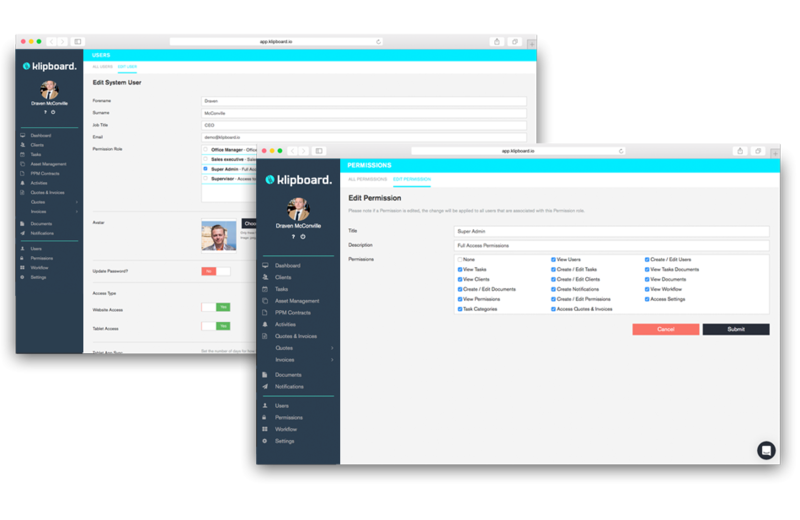 Klipboard is built on robust cloud technology. Our web dashboard and tablet app require unique user login credentials and passwords that are one way hashed to ensure that they cannot be deciphered by third parties or leaked. 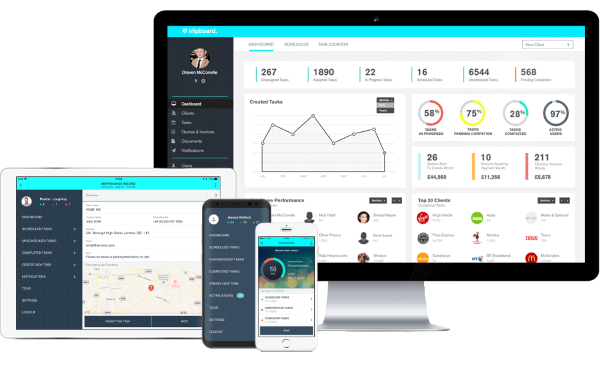 Klipboard offers the ability to assign permissions to specific tablet app users from the web dashboard, allowing for full control over what each user can do. User accounts can also be remotely deleted from the dashboard, whether the app user is utilising a company tablet or their own. All of the required data, including that of the workflows, when synced to the tablet app is held in a dedicated app partition ensuring that the data captured is not shared with any other apps on the user’s device prior to syncing back to the cloud. There is an optional passcode access on the tablet app as well as an automatic timer lock giving additional layers of security. The API developed for the syncing process between the tablet app and dashboard is transmitted in a compressed binary format making deciphering any communications extremely difficult.